There is nothing like a good-time musical theatre show to get the chill November blues out of your soul, so it was with great anticipation I, along with the excess of six hundred like minded folk, headed for the Alhambra Theatre Dunfermline where this almost non-stop touring show touched down for a return visit. Writer / Director / Producer / Star Steve Steinman is the driving force behind this show since he created it in 2004 and it has grown a massive cult following with some audience members attending in costume. It was however my first time so knew little of what to expect. Set in the year 2030, in the club of the evil Baron Von Rockula, Steinman, is in search of a bride and hopes to achieve his aim while auditioning for a new rock singer for his club. Enter the naive Pandora Rosie Box, a Cliff Richard geek who really has no idea what she is walking into, but with the help of the uber talented band The Lost Boys, her inner rock chick quickly emerges. Emily Clark portrays Pandora and my God what a voice this lady has!! The comedy character janitor, at times seems to be a cross between Igor and Rocky Horror’s Riff Raff, but certainly injects humour into the proceedings, and can sing more than a bit too. The plot is fairly minimal, but who cares, it is funny; non-offensive for any age and let’s be honest the music selected is the main reason for most to be there anyway. Any show that kicks off with ‘Welcome to The Jungle’, progresses into Highway to Hell, continues with ‘Killer Queen’, ‘Sympathy for the Devil’, ‘Total Eclipse of The Heart’ and ‘Don’t Stop Believing’ all before the interval cannot be bad as far as I, and nearly everyone else was concerned. The rock didn’t stop there either, the second half was peppered with classics too, the very balcony of The Alhambra was shaking during the interpretation of ‘Jump’ and the sea of clapping hands during ‘We Will Rock You’ would have done justice to a Queen crowd. The set was well designed, a huge skull with bat wings dominating, the lighting plot well delivered and the sound absolutely pin sharp. 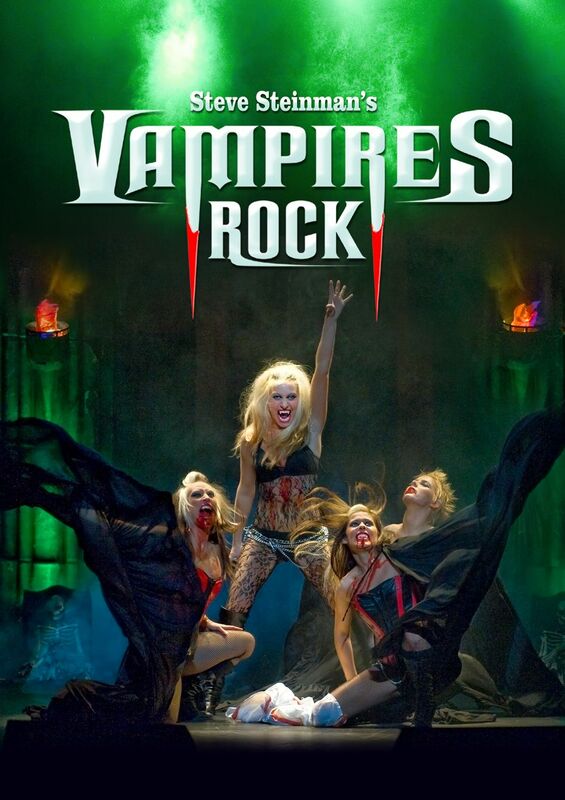 The direction was well drilled too, thrown into the mix were a couple of scantily clad female vampires and a few theatrical devices also slipped in to give this production even more gloss. The faithful recreation of rock classics however made it for me though, as the musicians and vocal performances were tremendous. All in all a quality evening’s entertainment, and I certainly hope it continues to tour. I will be back, you can bet on it.